When their son Presley, 14, was recovering from a tonsillectomy two weeks ago,Cindy Crawford and husband Randy Gerber invited Harry Styles from One Direction to come over and cheer him up. It worked. Presley not only felt better, he made a new friend. 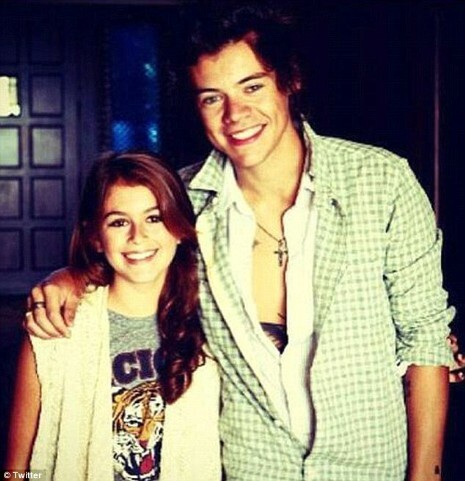 Harry, 19, came back for a second visit with Presley and his sister Kaia, 12, when the band was recently in LA. The excited Gerber kids posted photos of themselves with Harry online.